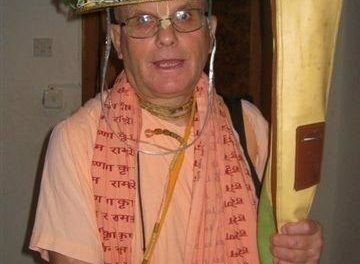 Krsnacandra Dasa – Vrndavan: At the risk of sounding repetitious and harping on about Radhanath Swami, he is certainly an enigma in ISKCON today. He has been out and about the Braja region and paid a visit to the Krsna Balarama Mandir the other day. This was all done with no less than 2,000 disciples. When you read any transcripts of Radhanatha Swami’s speeches one would immediately think him uneducated. His topics are banal, new age and mundane, and replete with the interfaith dialogue of religious syncretism and yet his disciples and followers hunger after him and his new age blabber as if it was nectar from the Gods. The New Age Impersonalist agenda is in line with Kabbalist mysticism and has nothing to do with our Gaudiya Vaisnava tradition. Radhanath is not presenting himself as a Vaisnava he is presenting himself as a New Age Spiritualist Guru who is interested in Religious Sycretism that is in line with the Jewish Tikkun Olam ideology of ‘heal the world’. He gave class the other day in the Krsna Balaram Mandir and it grew more obvious that the technique he uses is pure emotionalism. Watching how his face contorts with deep emotion and feelings and with closed eyes, as if he is there with God himself or there with Lord Caitanya – it is so blatantly overacted that it is extremely disturbing to behold. Wow a very impressive repertoire that is for sure, but it is now ‘abundantly clear’ how this man suckers in his followers. They are responding to his emotional theatrics and facial nuances as if he was a self realized soul who is totally absorbed in pastimes with the Gods… He is portraying himself not as a mortal man like his God Brothers and Sisters and he acts as if he wants people to believe that he is on the same platform as a Mahabhagavat devotee. It is almost as if he had studied “Dramatic Facial Expression 101” and so has become a pastmaster at fooling people into believing that he actually ‘feels’ what he is saying to them. Well not everybody is so easily duped Radhanatha old boy! So when he talks of love, compassion, forgiveness and peace, all obviously new age jargon, his followers actually believe that he is on the same platform as a nitya siddha devotee like Srila Prabhupada himself because they see it written all over his face! 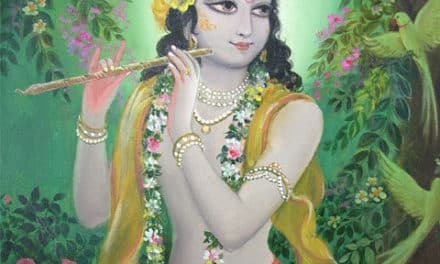 Radhanath is becoming famous for his fabulous quotes that his followers gobble up like it was soul candy from Krsna… Yet his words are really not that realized for someone of his public status. Here is a quote from one of the many websites dedicated to him about Deity Worship. When you go to the church, there is generally always a crucifix with Lord Jesus Christ. Everyone kneels down in front of him and cry and pray. He is a deity. They are focusing their attention on him. One of the greatest of the Catholic saints, St. Francis of the Assisi, his spiritual life really began when he went to a church in a helpless destitute position and prayed to the deity of Christ. He saw the deity cry and then he heard the deity speak and give him an instruction to surrender. In Islam, they have big mosques and there is nothing in the mosques. But they are all bowing down in the direction of Mecca. That is their deity. Mecca is a place; it is not just an imaginary concept. 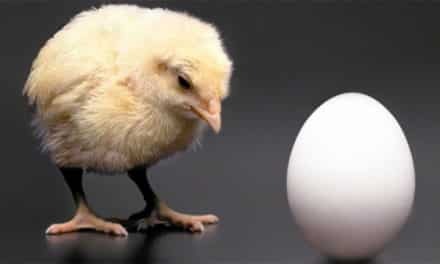 They are concentrating their minds on something physical, offering their respects and their worships to something physical. They also worship Quran. In the Jewish faith also they have some sort of deity worship. One time I was in Jerusalem for one of their biggest festivals. It is festival where they take out Torah, their holy books, and they were offering crown to it. The Sikhs, too, worship their holy book Guru Granth Sahib. Their book is their deity. Who is this man addressing? Is this a speech for the general public or is it a philosophical dialogue with his disciples? According to Srila Prabhupada’s standard this is neither. This speech is addressing the interfaith community and is steeped in religious syncretism.He appears to be seeking to compromise our Vaisnava siddhanta making it palatable for the masses of liberalised new agers. 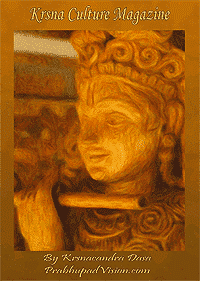 So what is the nectar that devotees are so eager to hear and so deeply affected by? 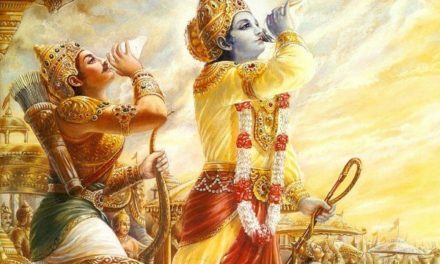 How does the above quote affect the heart of a devotee of Krsna to enthuse them to engage in Worshipping the Deity? Is this the level of instruction that his disciples hunger for? There is no limit in devotional life for forgiveness. There is nothing a person can do that we cannot forgive him for. No grudges, no avenges. Jesus Christ was crucified, but to his last breath he was praying to God to forgive the crucifiers. In the spirit of service, a devotee is always interested in uplifting others. This is the mark of a real devotee. Like being a part of murder conspiracies? Like not speaking up when so many children were being raped and abused by his beloved Sannyasi guru Kirtanananda Swami in New Vrndavan? What about how still to this very day he is denying any knowledge or having played any role in the whole New Vrndavan fiasco? Denial and avoidance of sin is to be forgiven? Who must forgive this? The children? The murdered devotees? The parents? Srila Prabhupada? Krsna? Your disciples? Forgive and forget hey? Nice one Radhanatha Swami. This new age mumbo jumbo is certainly coming in handy for you. Very cunning move little man. “Richard Webster: Within the Christian religion there is a strong emphasis on possible failure and forgiveness. So is Radhanatha Swami saying that he knows better than Srila Prabhupada or that he is more merciful than His Divine Grace AC Bhaktivedanta Swami Srila Prabhupada? Here it is clear that he is building his own preaching platform based on lies and deceit that is masked over with his own unique emotionally surcharged preaching technique that has nothing to do with Srila Prabhupada’s ISKCON. What is most amazing is how much his followers are in awe of the puerile and self interested words that emit from this man called Radhanatha Swami. How much they are mesmerized by his gross impersonation of Lord Caitanya Mahaprabhu in his overacted and totally contrived dance moves. It is almost as if… as if he was using some form of Voodoo or Tantric powers… to woo his entranced followers…????? 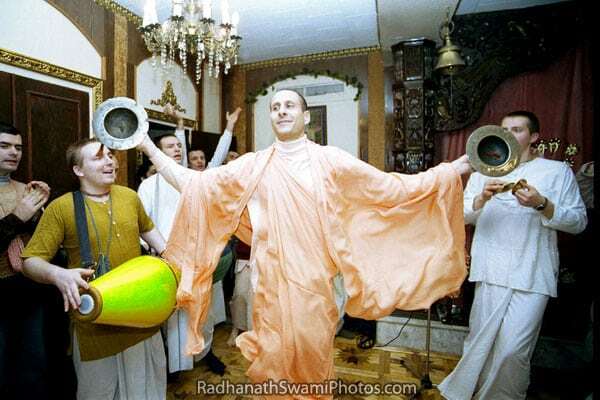 However, Radhanath Swami should not be as concerned with being forgiven or trying to get away with his heinous past, by his followers, what he should really be deeply concerned about is impersonating a bonafide Spiritual Master and taking disciples for himself when he knows full well that he is causing a direct offence and insult to His Divine Grace AC Bhaktivedanta Swami Srila Prabhupada. This Krsna Consciousness Movement is not a plaything for the rich and famous nor is it for the pseudo spiritualist trying to make a buck or for gaining followers, name, fame, admiration etc. There are special hells awaiting those who dare to flaunt their mundane lusty endeavours by trading off the name and society of the pure devotee His Divine Grace AC Bhaktivedanta Swami Srila Prabhupada and Krsna. If he truly wants to preach forgiveness then he should step down from his fraudulent position and theatrical displays of pretending to be a bonifide spiritual master coming in the disciplic succession from Lord Caitanya. For, it is only when he stops sinning that he will be qualified to beg for forgiveness. Sure anyone would forgive him if he was for once in his life honest. This is saying nothing whatsoever about the fact that he has the unmitigated effrontery and outright impudence to flaunt his fawning entourage in His Divine Grace AC Bhaktivedanta Swami Srila Prabhupada’s Temple and Samadhi in Sri Vrndavana Dham!